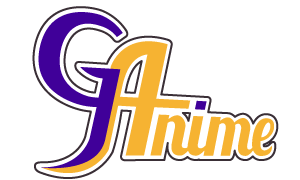 G-Anime is a japanese animation festival that is held twice every year. The main edition, in winter, is held at the Palais des congrès de Gatineau. G-Anime is mostly dedicated to Japanese animation and, of course, mangas. The convention also covers many other “geeky” fields, particularly web culture, Japanese fashion, and video games. G-Anime offers many activities during the whole weekend. This festival is organized by the Société d’animation japonaise de Gatineau (SAJG). This is a non-profit organization whose mandate is to promote Japanese animation in French in the National Capital Region. For more information on the SAJG, you can visit the register of companies of Quebec website. The registration tables will be on the 3rd floor for all the duration of the festival. The Palais des Congrès is the perfect place for Anime and Geek Conventions. To hold such an event, you need a lot of rooms with variable size to fill up all the different needs. The Palais represent a surface of 50,000 feet square which gives it an outstanding versatility for such geek event such as G-Anime. The Maison du Citoyen offers many parking spots for free during the weekend (please note that vehicules cannot remain during the night). The entrance is located on Hotel de Ville St. From Laurier St., will be at your right (the entrance is not very visible and is easy to miss). You can use the convention centre parking lot, accessible from Courcelette St.
G-Anime has a suggestion for you! We have a partnership with the Four Point Sheraton is linked to the Palais des Congrès by a Sky bridge, that goes through the Maison du Citoyen! Which means you don’t even have to take a single step outside during the cold winter! Furthermore we have negotiated a special rate for all of you! The Sheraton Four-points is offering G-Anime participants a fix rate per occupant, whether you are 1 or 4, you only have to pay 145$ for a room with 2 double beds. If you already made your reservations and you do have additional occupents charge, please contact the hotel for an adjustment. This is really the best quality-price you can find around, but hurry up, the offer is valid only until December 19th or until there is not more room available! Our official hotel is full ? Don't panic !! Here's a couple suggestions of hotels at a walking distance from the convention. Les Suites Victoria were recently renovated. It’s a small hotel with a modern touch located close to the Palais des Congrès and offering interresting prices. There is also the possibility to rent a suit with a complete kitchen and fridge inside. The BEST WESTERN PLUS Gatineau-Ottawa Hôtel & Conference center is located in Hull downtown. This hotel accommodation is located at less then 1 kilometers from Ottawa downtown and from the Canadian museum of History, or if you like better, less then 5 minutes walk from the Sheraton Four-Points (and easy access to the sky bridges). Are you looking for the cheapest solution? This motel is located 10 minutes away from the Palais des Congrès and is the closest best solution. Free parking, mini-fridge and kitchenette are part of the option offered at affordable prices. A :G-Anime is the second largest anime convention in Quebec. The convention is known for the quality of its content, which rivals that of the largest conventions of its kind in Canada. It’s a convention for the fans made by the fans. Yeah, we’re cool like that! Q :Okay, so the festival only has screenings of different anime series? A :Nope! In reality, screenings are but one small part of our convention. We have many fan-run panels and a number of larger special events as well, such as concerts! And you can’t forget about the great recurring content such as our manga library, cosplay, video games (both retro and modern), and general geeky culture. Q :Do I have to wear a costume? A :No, not at all, but we certainly invite you to do so! Q :I imagine that you offer the majority of your content in English, like other conventions of this genre? A :Nope! On the contrary, we are the leading convention in offering French content, including exclusive French guests. This does not mean we do not have English content! We are a bilingual festival that is simply taking a francophone approach. A :Yes, children are welcome to attend! If they are 12 or younger, their admission is free, but they must be accompanied by an adult. We do have some 18+ content which would be considered unsuitable for children, however, it is always planned during late night hours and clearly marked with an age rating in the schedule and program. Q :Is the festival accessible for those with physical disabilities? A :Yes. The Palais des congrès is situated in a federal government building, which ensures that this will not be a problem. The whole festival is accessible! Q :Where can I buy tickets for G-Anime? A :On the menu, you can access the page How to buy your tickets. All the information is there! Q :How can I get a table in the dealers room? A :Visit the dealer registration page! All of the information can be found on this page. Q :Are media badges available? A :Visit the media accreditation page! All of the information can be found on this page. Q :Are there any discounts available on the admission price? A :The price of a weekend badge during pre-registration is the same price as a Saturday badge regularly is. You can also take advantage of our offer to save on admission by trading in your gently used manga! You will find all the details for this offer on the How to buy your tickets page. Q :Are you inviting person X, or group Y? A :We’re always open to suggestions, but certain guests (particularly English-speaking ones) are very in demand – and sometimes very expensive. So it’s not that Egoraptor and PewDiePie aren’t interested in visiting us; we are just not the only ones who want to see them! Q :Are ticket sales final?